Summer means sun, surf and sea. Creatures, that is. 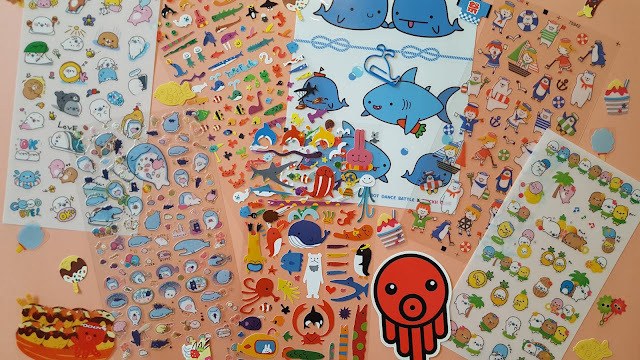 June's cute sticker pack theme is Sea Life, and this envelope was overflowing with it. 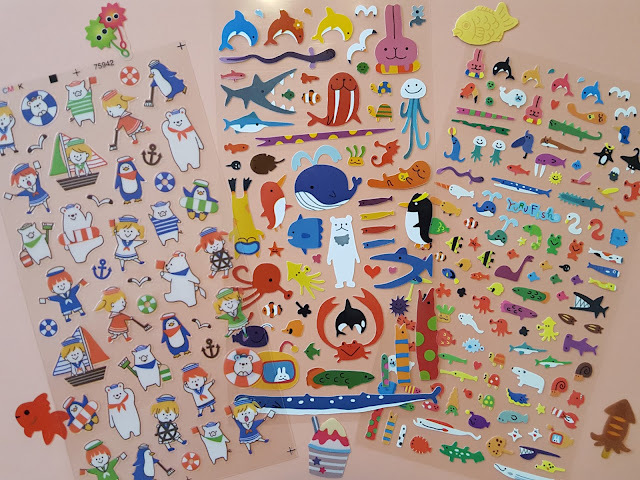 Each sticker pack usually contains seven full-sized sticker sheets along with some sticker flakes so chances are you'll collect them faster than you can use them. That's my problem, anyway. They're so darn cute that I want to just stare at it and not use it. Each month there's normally a fun extra thrown in. Past extras included bookmarks, wash tape and sticky notes, but more often it's a big sticker like it is this time around. 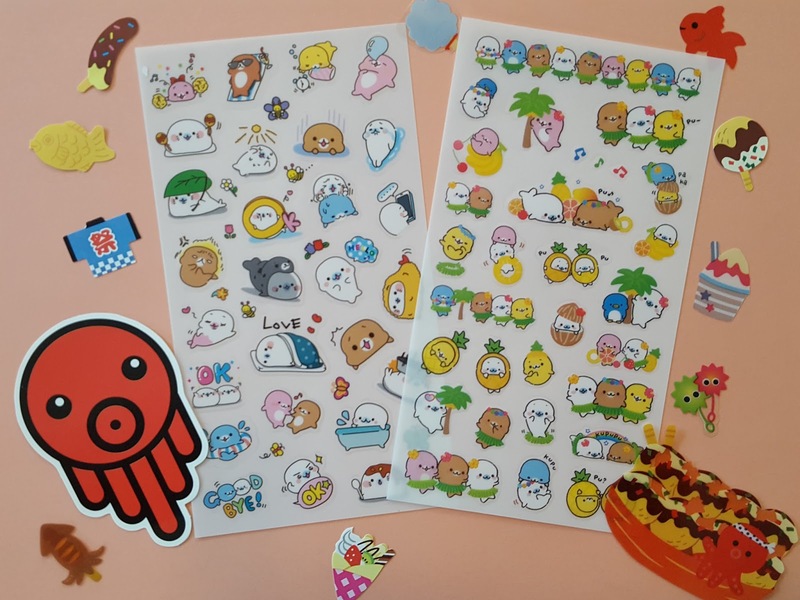 A big octopus sticker. Octopuses (octopi?) are one of those animals that I think look so funny in real life but so freakin' adorable in cartoon form. Especially when they're anatomically incorrect like this guy and his duckface lips. Also, THOSE SEALS. I love cartoon seals. If and when I ever get a pet seal I'm gonna make a cartoon out of him. More sea life, including some polar bear and penguin action. They do dive in the water so I guess that classifies them as sea life as well. Gah, don't you just love all the color here?! What would a sea creature sticker pack be without whales? 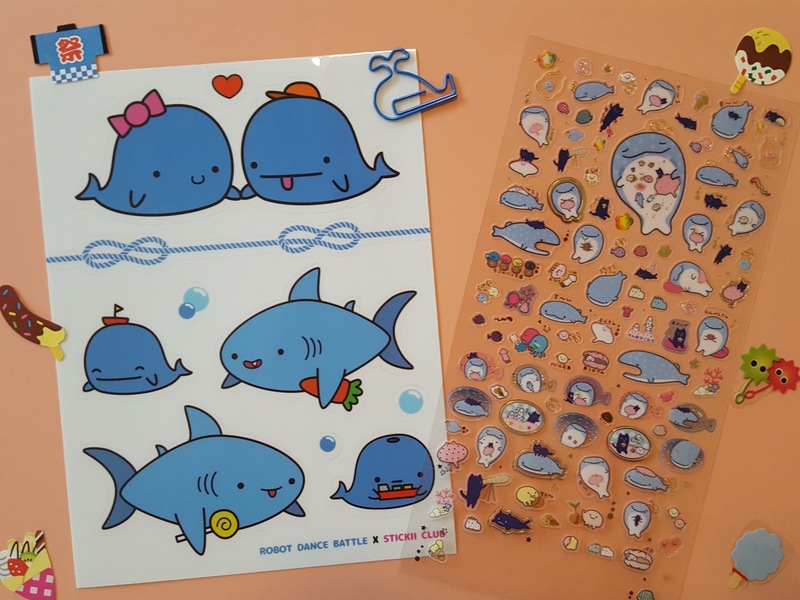 These are probably the cutest whales I've seen in my life. And remember what I said earlier about an extra thrown in? In addition to the octopus sticker, this month subscribers also got a sea creature paper clip! It'll be perfect for attaching my shopping list to my planner. Then there are those sharks; I've never seen them look so friendly. I've been hearing about so many shark attacks on the local news lately, it helps to look at these cuties and escape from reality for a bit. If I had a penny for every sticker that I owned, I could probably afford a new car by now. Oh, how I wish you could exchange stickers for cash. Okay maybe not, because I'd have just as hard a time parting with all the cuteness, which explains why I have hoards of stickers to begin with. But seriously, I have way more than I could ever use. It's kind of like stamp collecting, you keep growing your collection knowing very well that you could be using them BUT YOU DON'T. Because collectors collect. Thanks, Stickii Club, for reigniting my sticker collecting tendencies. You can become a sticker collector (or user) too. Choose from Cute, Retro or Pop packs, each for $10/month. Click here to get signed up and ready in time for next month's sticker pack.